Midge Maisel (Rachel Brosnahan) made a giant choice at the end of the second season of “The Marvelous Mrs. Maisel.” A couple of big decisions, actually. But one is truly more of a twist than the other. For starters, she is going all in on standup now, taking off on tour with Shy Baldwin, which means leaving her family and would-have-been fiance Benjamin (Zachary Levi). And second, and even more shockingly, she went back to her ex Joel (Michael Zegen) — the husband who left her for his secretary in Season 1 — for a one-night stand in the closing moments of the episode, saying she didn’t want to be alone before she left. And he sealed that proposition with a kiss. TheWrap sat down with Levi to ask the Amazon Prime Video star about why he thinks Midge made these choices. “The Marvelous Mrs. Maisel” Season 2 is streaming now on Prime Video. 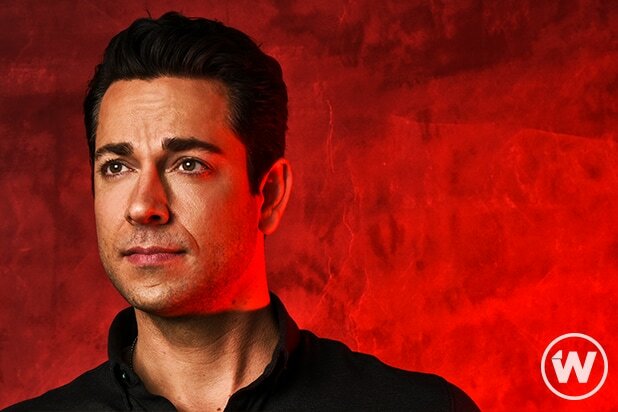 Zachary Levi, "The Marvelous Mrs. Maisel"